Cosmo, the first totally round rope play equipment, now has a little brother! 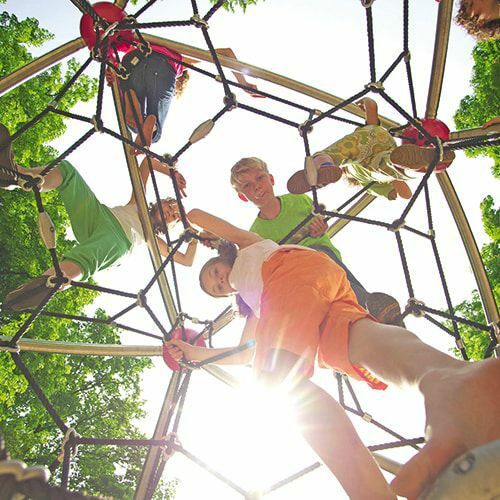 The Cosmo S base unit, through its bended tube spatial structure, is compact and yet lets kids find more exciting ways to play than ever, making it the highlight on even the smallest playground.Add any of the five versatile add-on elements, and the Cosmo S will give kids even more challenging play activities. All around the central unit, diverse climbing nets and walls can be attached. And the “Banister”, with its parallel gently bended sliding tubes, will give kids an even greater thrill.